The legend of Mike “Dream” Francisco was repainted al fresco at this past Saturday’s Dream Day. An afternoon-long celebration of the aerosol arts and cultural hip-hop, the event was a heartwarming tribute to the TDK Crew member and graffiti-writing pioneer, an inspirational figure and community mainstay, tragically murdered in 2000. This year’s event marked 15 years since Dream passed, yet his memory—and legacy—seem stronger than ever. Not only was this the 5th annual Dream Day, but also the second straight year at its current location, the Greenpeace Yard on 7th St. in West Oakland. The continuity was a nice touch; several of last year’s Dream tributes, including a huge central wall, remained up, while newer pieces were worked on throughout the day. 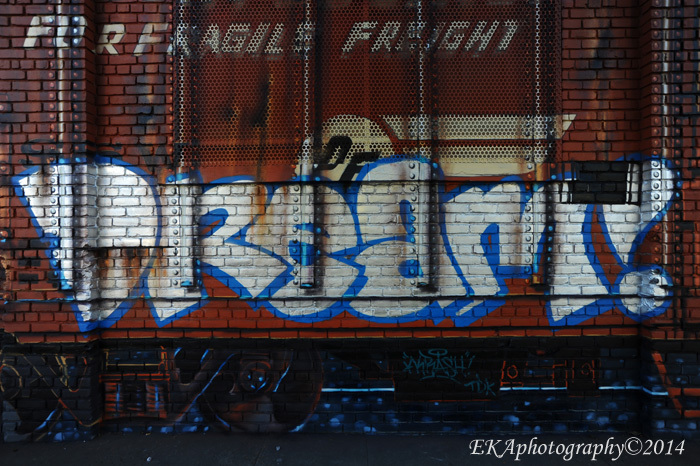 Dream Day has become a much-anticipated event for Oakland’s cultural hip-hop community, and one which cements the important role aerosol writing plays in it. It’s a day where graf veterans and newbies alike mingle and paint openly during the daytime—a cultural, sometimes-illegal, practice usually held under cover of nightfall in clandestine locations. It’s also somewhat of a High Holy Day for the still-active TDK members, with near-religious significance. And it’s a day where OG rappers, DJs and breakers perform live and maintain their community standing, transmitting authenticity to a new generation, most of whom were drawing with crayons in preschool when Dream and his peers were putting Oakland on the aerosol art map. The unquestioned highlight of the afternoon was an emotional appearance by Saafir, the legendary rapper and Hobo Junction member who’s been confined to a wheelchair for the last few years due to health reasons. Saafir was originally scheduled to perform, but alas, his health didn’t permit that. Still, he snuck away from the clinic he’s undergoing treatment (for spinal cancer) for a few precious moments to address the crowd. Afterwards, he was swarmed by well-wishers and posed for a pic with Dream’s son Akil. Besides viewing a yard full of Dream-themed murals and murals-in-progress, late-arriving attendees were treated to an amazing set by DJ Apollo (TripleThreat/Invisible Skratch Picklz), who threw down hip-hop and breakbeat classic after classic, in turn inspiring veteran Pinoy hip-hop crew Knuckle Neck Tribe (KNT) and other b-boys and b-girls, to pop, lock, strut, show off footwork, and bust headspins and freezes. When you’re watching guys in their 30s and 40s breakdance, you know it’s a good afternoon. More than one person remarked that the spectacle made them think they were in the Bronx, circa 1984 – a good look for Oakland in 2015. Other highlights were provided by Nump and Equipto, two veteran Bay Area emcees who had nothing but love for Dream. Nump dedicated a song, “Be Like Mike,” to Dream, performed his hyphy-era classic “I Got Grapes,” and said “yadadamean” frequently, to the crowd’s delight. He also brought out special guests J-Boog and Mac Mall during his set, who performed their hits “Let’s Do It Again” and “Sic Wit Tis,” respectively. Equipto, meanwhile, came to spit bars. The original Bored Stiff member showed why his lyrical rep has remained strong among the region’s indie rap scene for two decades. Zion-I’s Zumbi Zoom also rocked the mic, with a rendition of the now-classic “Don’t Lose Your Head.” Also spotted in the crowd: The Grouch (Living Legends/G&E), Pep Love (Hieroglyphics), and DJ Platurn (45 Sessions/Oakland Faders). 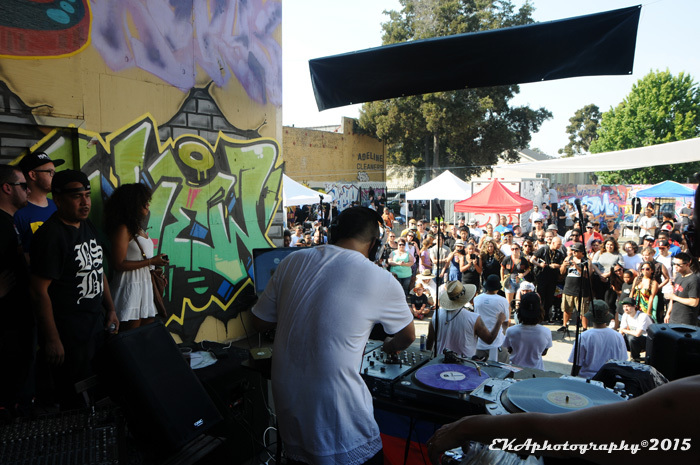 The maturation of the Bay’s hip-hop and aerosol scene was evident from the fact that many attendees brought their kids. Still, there was plenty of adult fun to be had, including a beverage stand which served up cold brews and sangria. Other nourishment was provided by lumpia and chicken from the Lucky Three Seven Filipino food truck. Along with Hiero Day, Dream Day has become one of the most reverential days of the year for Oakland’s hip-hop community. Its significance was apparent even to those who have no personal memories of Dream, a stellar artist and style master who was an even better person in real life. The cultural ritual of honoring the ancestors who walked before us is a longstanding one, but one which happens too-infrequently in hip-hop. But to see Akil—who was only a baby when the first benefit event honoring Dream was thrown in San Francisco some fourteen years ago—grow into a tall young man, strapping with pride and confidence, not only portends hope for the next generation, but validates the efforts of event organizer Marty “Willie Maze” Aranaydo and the TDK Crew. They’ve taken up Dream’s name like a patron saint of authentic hip-hop, which of course he is. All these years, they’ve nurtured his legacy, refusing to let it fade. In the process, they’ve kept the cultural heart of Oakland hip-hop beating. 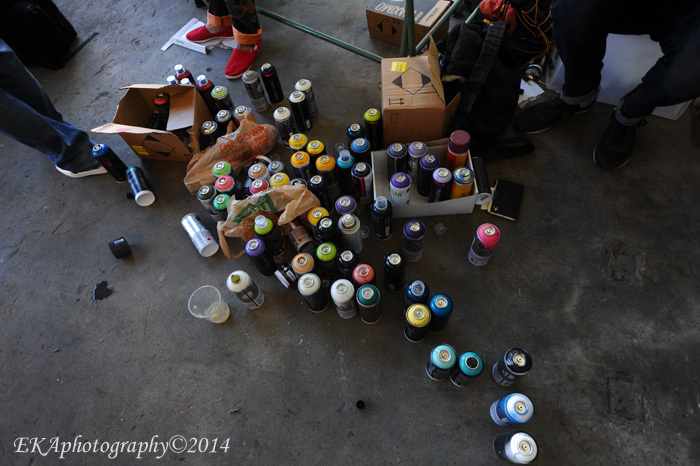 Categories: Art review, Event review | Tags: aerosol arts, Akil, DJ Apollo, Dream Day 2015, Equipto, Hobo Junction, KNT, Mac Mall, Marty “Willie Maze” Aranaydo, Mike Dream Francisco, Nump, Saafir, TDK Crew, West Oakland, Zumbi Zoom | Permalink. For Bay Area aerosol art aficionados and devotees, there is no name more celebrated than that of Mike “Dream” Francisco. Even though the “computer style” designs of SF graf pioneers Crayone, Raevyn and the TWS crew were the first to gain national attention – when they were featured in Henry Chalfant and James Prigoff’s groundbreaking 1987 book “Spraycan Art” – Dream’s legend has surpassed that of any living Bay Area aerosol artist, with the possible exception of Barry “Twist” McGee (who’s become a gallery/museum exhibitor and no longer does much street work anymore). Raised in the hardscrabble streets of East Oakland’s Sobrante Park neighborhood, Dream was a proud Pinoy who fell right in with hip-hop culture as it emerged from NYC boroughs and evolved Westward in the mid-80s. He reportedly studied East Coast graf masters such as Dondi – his trademark “D” bears more than a passing resemblance to Dondi’s version of the letter – but quickly progressed from imitator to innovator to master and mentor, especially to younger artists who frequented the “23” yard where he could often be found painting. 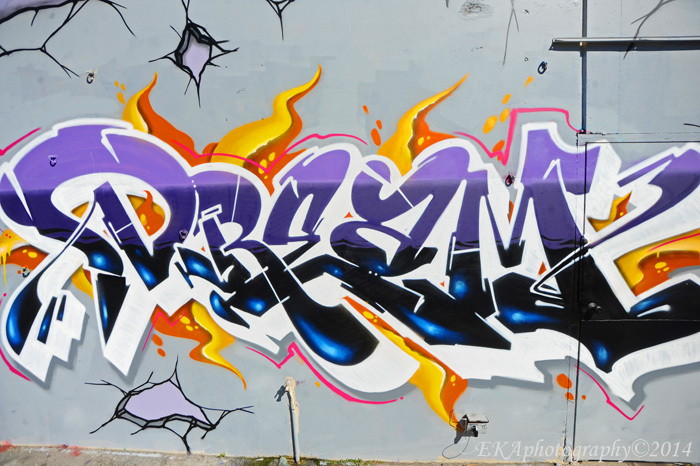 Dream’s art was instantly iconic, from 1996’s “Tax Dollars Kill” mural, to his 1993 portrait of murdered emcee Jesse “Plan Bee” Hall, to the backdrops he painted live for KMEL’s Summer Jam, to the numerous eponymous 3-D burners he authored. His maxim, “Dream… but don’t sleep!” became a rallying cry not only for aerosol practitioners, but for Oakland’s hip-hop subculture as a whole. Along with Spie, his compadre in the TDK and Irie Posse crews, Dream ushered in a wave of political-themed graf which continues to this day in the Bay. Bay Area aerosol writers were rarely political prior to 1992, when Dream and Spie protested the 500th anniversary of Colombus’ “Discovery” of America with a series of works inspired by the “500 Years of Resistance” campaign uplifting the indigenous struggle. Irie productions often featured the numbers “1492,” a cryptic reference to the onset of colonialism. This led to a well-attended gallery show in 1993 at the Pro Arts Gallery (then located in Old Oakland), “No Justice No Peace,” which addressed police brutality in the wake of the Rodney King beating by LAPD. It’s been a long time since that show, but I can still remember Dream arriving with the swag of a king dressed in royal finery, though in truth, he was attired in a generic vinyl rainsuit. That was part of Dream’s gift; he could make anything fresh. An official member of the Hobo Junction crew — he designed their logo — Dream went on to do graphic design and ink tattoos, and worked at a t-shirt an airbrushing shop at Hilltop Mall for a while. Although he had developed a political consciousness, he never left the street hustle completely behind; on February 17, 2000, a dispute over a minor amount of marijuana resulted in him being tragically murdered in West Oakland, leaving behind an infant son, Akil. 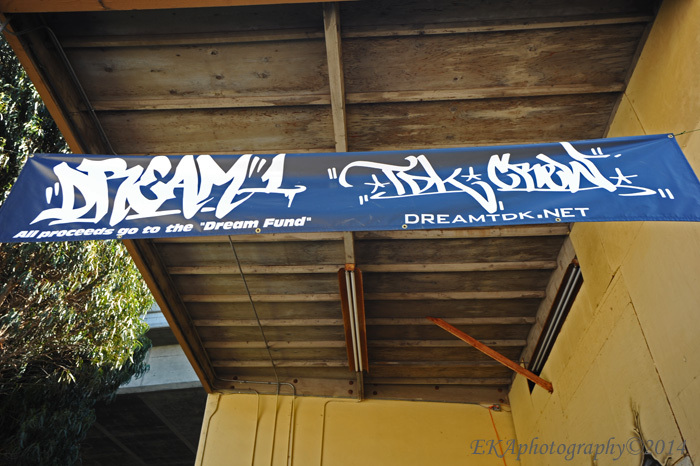 For the past 14 years, Dream’s legacy and memory has been kept alive by the TDK Familia, his crew members and peers, who organized a celebratory event called Dream Day. This year, the event was held at Greenpeace’s yard in West O, on 7th St., next to the People’s Grocery. Not only was Dream Day a family affair, but it was a perfect example of the type of unique, iconic event which puts the grit in Oakland and the heart in the Bay Area’s hip-hop community. After passing through the gates, and putting a little something in the donation box – proceeds benefitted the Dream Book Fund and the Dream Legacy Fund for Akil Francisco, now 14 – I stepped into what seemed like a hip-hop fantasy world. There were about a dozen writers painting pieces, in broad daylight; some had brought their families with them. A selection of top-notch DJs, including Sake One, DJ Fuze, Myke One, Max Kane, and Dulo Dulo, were spinning everything from Bay Area old-school hip-hop and mobb music classics to equally-classic dancehall reggae. Food was provided by the Lumpia Lady and El Taco Bike, and beverages ranged from water to beer to sangria to rum punch. Meanwhile, Marty “Willie Maze” Aranaydo, a Dream protégé who’s become a talented artist, DJ, and graphic designer in his own right, emceed the proceedings. The vibe got even fresher, with live performances by Equipto of Bored Stiff (who rapped a song he wrote in honor of Dream) and Richie Rich, the legendary East Oakland rhyme-spitter and game purveyor, who did his classics from the 415 era, “415,” “Sideshow,” and “Groupie,” along with “Let’s Ride,” a Town favorite from his 1996 Def Jam album Seasoned Veteran. It was hella cool seeing all the fam up in the house, especially the older writers who rarely come out to events these days anymore. If you were there, you know exactly what I’m talking about, and if you missed it, you’re probably sorry you did. Dream’s legacy, however, stretches further than just an annual celebration in honor of his name. 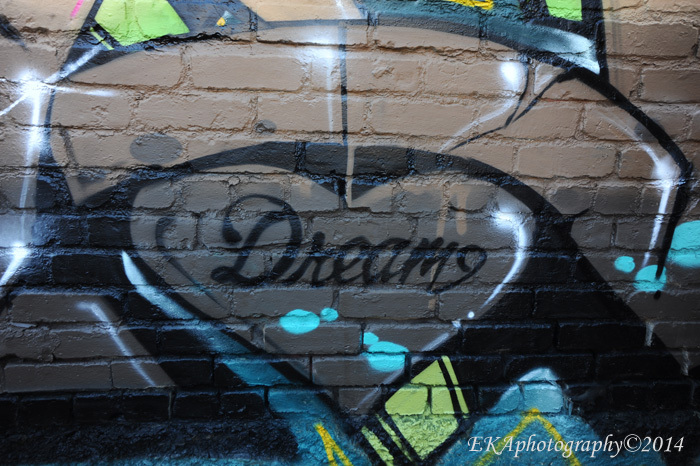 What Dream gave Oakland wasn’t just a folkloric legend of a martyred king to brag about in graf circles, but a legitimization of the aerosol artform and a sense of community engagement and social responsibility which extends to public art. 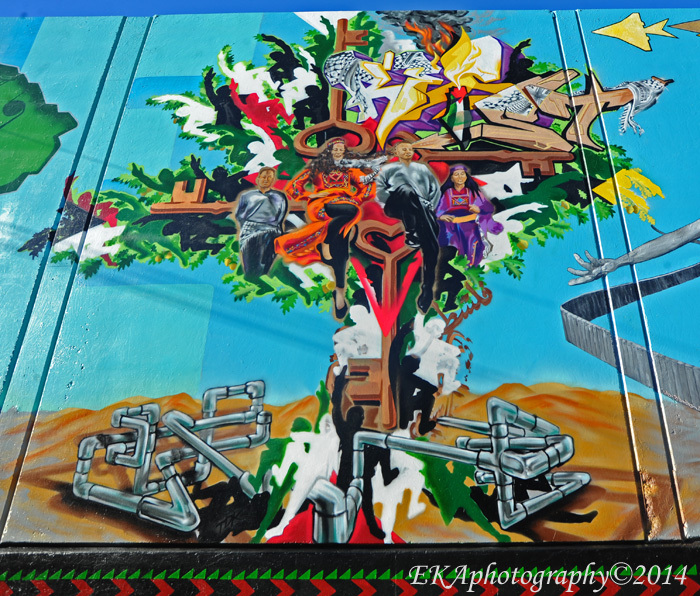 This can be seen in recent highly-visible works by members of the TDK Crew: the “StAy” mural featuring Rickey Henderson on 3rd St. (near Washington); Spie’s contribution to the Palestine Solidarity Mural Project on 26th (near Telegraph); and the “West Side is the Best Side” mural at 17th and Peralta painted by Vogue, Bam and Krash (which gives Dream a boxcar-style shout-out). 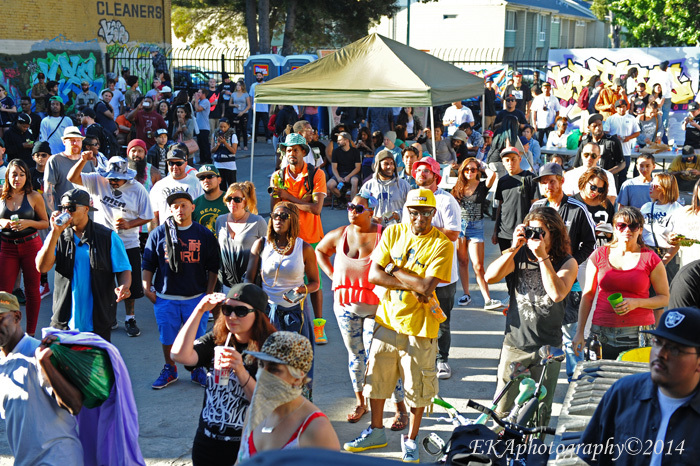 Categories: Art review, Live review | Tags: Bas-One, Bored Stiff, Dream Day 2104, East Oakland, Equipto, graffiti, Mike Dream Francisco, Nvr Ovr, Oakland, Richie Rich, Spie, TDK familia, Vogue, West Oakland, Willie Maze | Permalink.